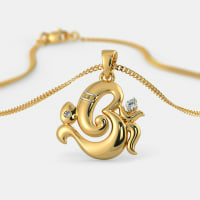 I bought this enchanting piece of jewellery of religious importance which brings peace and calmness to me personally and helps me in making my life as well as of others around me in my home even more beautiful. 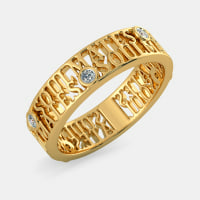 Seven Diamonds in the first ring indicates "The Seven steps which I and my husband took on our marriage". 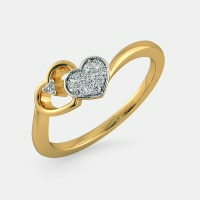 And one diamond in the second ring indicates "One Soul". 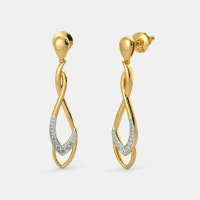 I just love d designs n giving flexibility to customer to make purchases according to their budget. 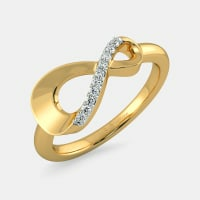 Its give u an option to buy in 14,18 n 22 karat. Made 3-4 purchases, all are awesome! 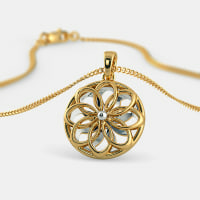 The Themis pendant, true to its meaning, makes me feel beautiful and complete. 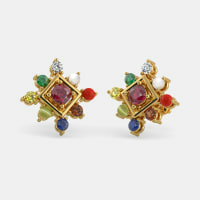 Modern yet traditional, this piece of jewellery goes very well with western as well as ethnic outfits. My wife had ordered this Muralidhar pendant on my birthday. Received the product in a very nice packing, with a letter and diamond certificate. 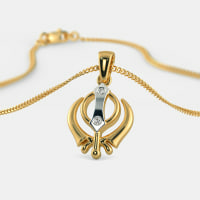 The pendent was exactly as displayed on website. We both are very happy and like it a lot. 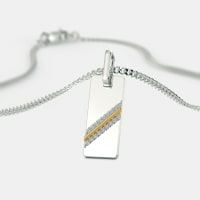 I would definitely recommend Bluestone.com. 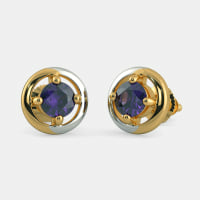 I bought this set of earrings for my daughter as she had her second earhole pierced and later on I bought a matching necklace. My daughter loves the entire set that is why it is so very special to both of us. 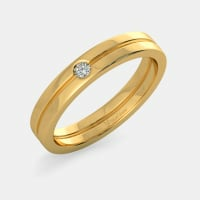 The plain ring exhibits the simplicity but completes the custom. The start of life needs this simplicity so that the understanding is easier. The engagement ring also a purity purchase is a good one to come from the blue stone pure gold. 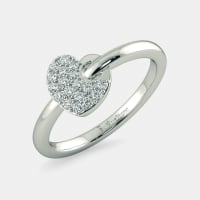 This ring is not only special but extremly special for me, & there could not have better than this ring which I could have bought. 27th MAY 2013 was a special day for me because it was my "FIRST WEDDING ANNIVERSARY" & I wanted to gift my wife something which will not only make her happy but also show my love for her & The Milada Ring proved this effectively. 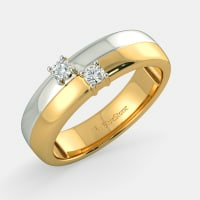 Previously I thought I cannot gift diamond to my wife because I cannot afford it but "BLUESTONE" proved me wrong. 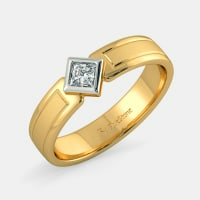 In search of low costing diamond I surfed across many web-site but none was near to "BLUESTONE" in terms of price & quality, I have selected two rings, "THE MILADA RING" & one from another web-site I decided whoever will deliver first I will take that ring, but when I compared both the ring side by side,I was astonished to find that "THE MILADA RING" was far ahead in all the fields, be it weight of the ring, diamond carat, diamond clarity,height everything in the other rings was less when compared to THE MILADA RING, with-out wasting any time I cancelled the other ring and placed order for the" THE MILADA RING",the ring was delivered to me on estimated date & I gifted to my wife on my "FIRST WEDDING ANNIVERSARY"
The happiness which I noticed on MY WIFE'S face cannot be expressed in words. All the family members & my friends appreciated my gift. "THE MILADA RING" made my "FIRST WEDDING ANNIVERSARY" more memorable than it would have been. MANY MANY THANKS TO BLUESTONE for making my dream of gifting diamond come true. 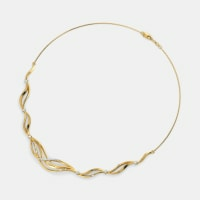 I really liked the Jubilant necklace and had my eye on it for a long time. But I was not sure how it would look on me. The customer service agent asked me to try it first before ordering. I booked a Try At Home appointment on Friday and on Sunday once I had finished all my work I sat and tried out the necklace at home. I really enjoyed this new shopping experience. 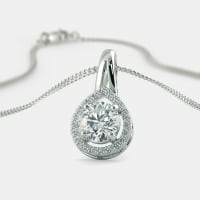 I wanted a solitaire pendant to be made to my specific requirements and BlueStone offered excellent product service throughout. The final pendant was just perfect. Along with helping me finalize my design they kept me informed and up to date at all times. They even made it quicker than I expected! 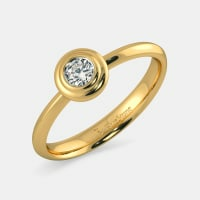 The ring looks exactly the way it looked on the website. The prices were quite reasonable and I found an impressive ring under my budget. Fiancee thinks it cost me an arm and a leg! I told her- "darling, anything for you". I always thought buying diamonds is a dream for me. 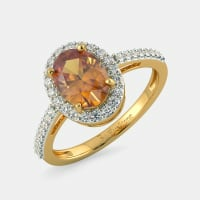 Thought I'll just browse the website for fun but the diamond prices were really great! I didn't tell my husband yet but I bought a diamond necklace from here. Will surprise him soon! I never bought jewellery online before and was not sure about trying it either. Normally I need to check out 5 stores atleast before finding something that is me. But on BlueStone I found the same number of designs in one place! This was exciting and I'm waiting for your next collection! My first stint with online jewellery was very successful I should say! 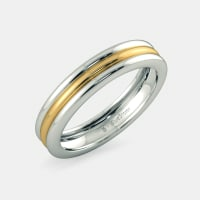 Even though I loved the ring, I was skeptical about the gold purity. A quick call with their Customer Service Expert resolved all my issues. BIS hallmark GIS certification sealed the deal for me. It was my 1st salary and I wanted to buy a gift for my mother. Being clueless about jewellery I asked the customer support for suggestions. 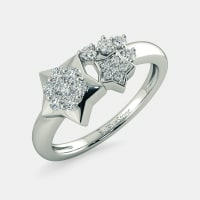 We settled on the Alessia ring as it had a funky triangular design which thankfully my mother loved! I know where to buy all those gifts from now! Highly satisfied with the design and quality of the product. I suggest you to start Try At Home service in other cities also. Keep up the quality of service and the innovative designs! 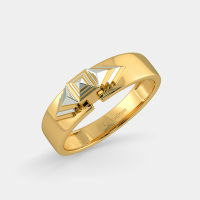 This ring is superb in design.I just admire the look. Really wow product. Quality of product was good. I am very happy because my wife liked it! 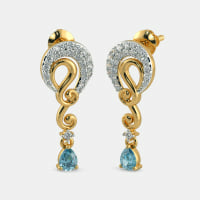 Designs of BlueStone are very much attractive which i cannot find in outside jewellery shops. I would like to purchase more products in future. I really liked the service and promptness of Bluestone. Keep the same culture so that u can grow in market. All the best! The advantage of modifying the product according to our tastes is awesome. It was very good experience as i was first time purchasing some thing expensive online but you made it easy for me. 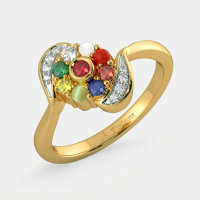 This was the first time when I tried experimenting buying jewel online and I am extremely satisfied. 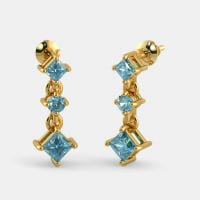 Blue stone is an excellent and very convenient way of buying any kind of jewels. I was really happy receiving my product just a day before actual scheduled delivery. 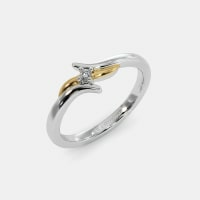 The ring I bought was really good and I am extremly satisfied with it. 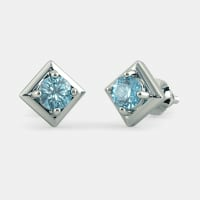 It was my first experience shopping with bluestone and I am quite impressed with all the aspects right from placement of order to delivery by the date committed, and the quality of the merchandise. Looking forward to more of such experiences! 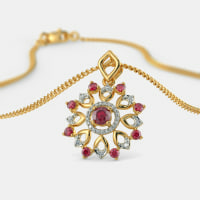 First of all thanks a lot for your prompt action of our order of the Yagnakaya Pendant. We want you to know that we are very happy with the quality of the product and prompt service your company provides. Shopping from BlueStone was indeed a very good experience. l will definitely recommend it to my friends. Your service is too good because they have give the expected delivery date to me as 2nd feb but on my personal request they sent it on 29th Jan. I am so happy! I liked the finishing. The item was packed in a really nice way. It's so simple n elegant. Very happy with the service. Your customer service team helped me get the correct size of ring. Excellent service! You are providing very excellent service & wide choice for shopping .Also your Try At Home service is too good. Keep it up! I have now made two purchases from BlusStone (one for myself and one for a friend) and have been very very happy with both. The quality of the merchandise and your customer service are both world class. I even had a chance to recommend your company! I am extremely happy with your service and timing of delivery as well as the product. Maintain the same. Thank you so much! 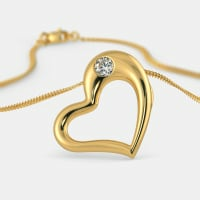 I have purchased a heart shaped openable love pendant from bluestone.com. This is my first purchase and I liked the beautifull look, good quality and beautiful packing of the product. This was a surprise gift for my wife on her birthday .This was the first time I had used BlueStone services. When I received the order, I was so happy. From the actual product, the packing and how it was delivered I would say fantastic! I would like to take this opportunity to thank BlueStone and their customer care executive for taking care of my order seamlessly. 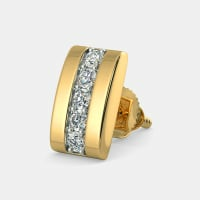 I had a problem with the ring size and it was replaced. The delivery and pick up was well co-ordinated. Thank you! Really appreciate the packaging and the much necessary certificate of authenticity. It's a marvelous product, with impeccable design. I am really satisfied with my purchase. Keep up the good job. It was my marriage anniversary on 1st May so I am very happy that I got the delivery for the occasion on right time on 30th April. Kudos again! Thank you so much guys for delivering before time! Really loved the pendant and earrings. I am definitely going to recommend to my friends. I have nothing more to add except that your products are wonderful and the way you people interact with us customers is amazing and very professional. Please keep up the good work. 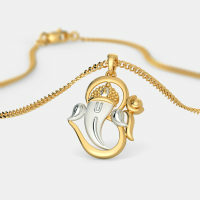 I ordered Gajakarna Pendant for my husband. Received the product in a very nice packing, with diamond certificate. 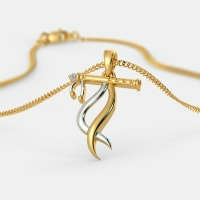 The pendant was exactly as displayed on website. 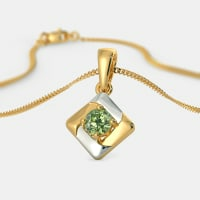 beautiful pendant with finishing work, looking so pretty. 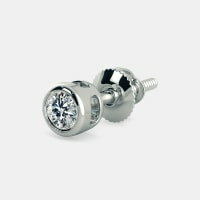 I just love the product and I would definitely recommend Bluestone.com to others for jewellery shopping! "It's been a delightful experience for me with BlueStone. A special thanks for personally assisting me to make sure my request has been taken care of. I really appreciate your understanding and dedication. I am so glad that you were able to deliver the product before the deadline and it made all the difference. I am really happy with the ring, it's beautiful. You guys have a wonderful sales and support team! Ordered the Cheryl earrings on Jan 27th and requested for a quick delivery and had them delivered before the 3rd of Feb! The Try At Home was arranged very efficiently even at short notice. 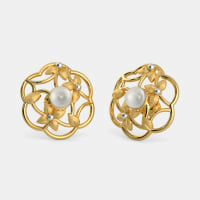 The product is really very pretty and a very unique design. 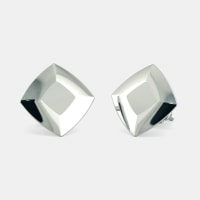 Product has great finish and packaging was good. 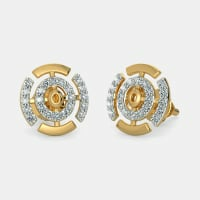 Had chosen from 'gold showstopper' earrings and it sure does get a lot of attention! All in all, an excellent experience shopping with Bluestone. You guys are amazing. Keep up with this good job. Excellent CS. 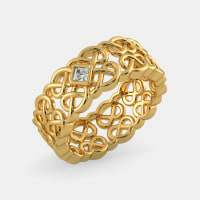 Ordered for The Art of Love Ring and The Gisella Ring, loved the products! I would be ordering some more products for myself soon. 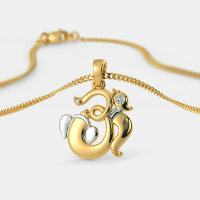 "Recently bought a pendant for my wife. A surprise gift. Bluestone delivered as promised the very next day. Excellent packing. Wife liked it a lot a my day was done !!! More surprises later. I received an email from Bluestone a few days ago stating that they would want to return some money for the extra gold weight charged (0.22 gram) !!! 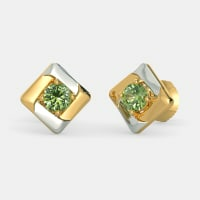 as their products are hand finished and final weight is what counts for the price!! Wow what a delightful experience. In these days who would want to return money. Also as a customer you have no means to check and confirm whether the weight of gold / stones used is as per their quote / specs. This show that Bluestone are a very honest, trust worthy people to deal with and they have loads of excellent business ethics." 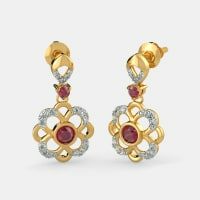 I have had a wonderful experience while shopping with Bluestone. Right from the beginning their staff was polite and helpful. I found transparency in product information and their after sales service was amazing. I had issue with product weight but I got it resolved without any trouble with the help of their amazing customer service team. 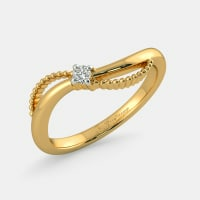 It was as good as shopping with my family jeweller, only without the trouble of driving, parking and waiting! "Recently had the opportunity to place my first order with BlueStone and am remarkably pleased with the product purchased and the level and timeliness of response when questions were asked of the company's customer support team. 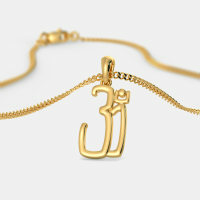 The Avighna pendant which I purchased is a beautiful interpretation of the syllable ""Aum, "" and is crafted and finished to an incredibly high standard. 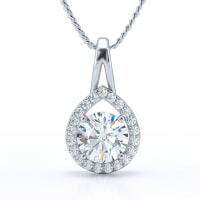 The two diamonds chosen for this pendant (I chose VVS EF) are very well cut and in my opinion are certainly worth the extra money. 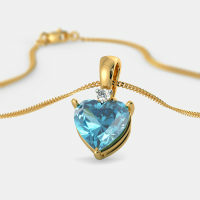 The pendant also arrived here in the United States ahead of the projected delivery date, and was very packaged! A most sincere and honest thank you to BlueStone's customer service department for professionally and courteously answering all my questions before and after purchase. I think I can recommend to anyone considering making a purchase from BlueStone that they can buy with confidence!" I was going through various sites but never found a site like this which provides you exactly what you are looking for. 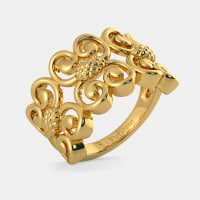 I ordered for The Letizia Ring. Overall I am very much satisfied.The product is looking really awesome and cute. World class service from the company and kind gestures by each and every executives. I think this is the first time I am seeing a company with true professionalism in all sectors(Customer handling, sampling, payment options & delivery). 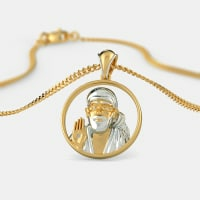 Had ordered Sri Sai Pendant. 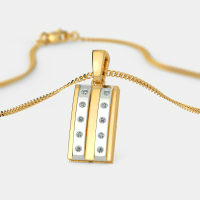 Got the product before time and that too a good quality and fine pendant, same as shown in the website. Love the piece of work. Thank you. 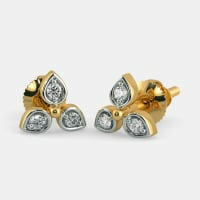 Its awesome experience shopping with Bluestone, Till now I had purchased Diamond Ring, Ear Rings, Pendants from Bluestone. They always keep their promise and deliver the product on time and all the Products which has been purchased is really awesome and perfect. One thing I thank Bluestone for the Last purchase I had made for Pendant and it was a Birthday Gift for someone special and on request they have sent the Personalised Message along with the Product and they have delivered it before the expected date. Thank you Bluestone. In November 2012, I purchased from Bluestone for the very first time. At first, I was shocked to see the tiny size of the piece, but then it dawned on me that it was exactly the same dimensions as given on the website. 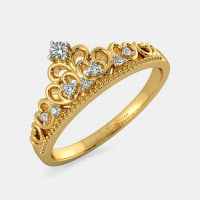 And, I felt reassured (This is the only jewellery website that is giving actual and accurate dimensions of the product). Since then, I have made 5 more purchases! And, all have been such a pleasure :-) There are so many 'bests' when you buy jewellery from Bluestone: Impeccable quality, designs that are traditional yet contemporary, excellent service, timely deliveries, honesty which is so hard to come by, (they pay you back for the slight variations in weight due to hand-crafting), plus a free pick-up and drop, in case you need repairs/service. What's more, the regular quality certifications, which are a 'taken for granted' with Bluestone, and a very helpful team working behind the computer screens... warm and ever-helpful if you have any queries. Only one bad :-) the designs are too tempting. Every second month you have something or the other which you just can't do without.... and so your budget needs to be accommodate it." 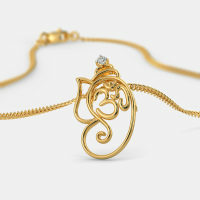 I had ordered the murli manohar pendant it being a unique design. I loved what I received. It matched the design on the site. 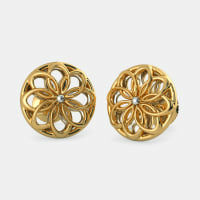 Bluestone has exquisite designs. They have met my expectation par excellence. I would definitely buy the next time from bluestone and highly recommend my friends too. The Website is very pleasing and easy to navigate, search and operate. 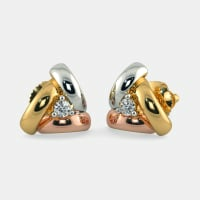 The collection is also good with having a range of products in all price ranges. Photos are the usp. The pre & post purchase communication was done properly. The delivery was good enough and the product arrived in specified time and in good packing. The product was like it was described and photographed. Overall it was nice purchase. The pendant was beautiful. The service was impeccable. Delivery was on time. What else can I say. Had a great time shopping with Bluestone. Every Bluestone product is unique and the service is simply outstanding. I remember that once there was a difference in the weight of the product I purchased. The difference in amount was returned by Bluestone which is an excellent example of honest business. Keep up the good work bluestone. Liked the services and the fact that Bluestone is indeed a very customer oriented company. 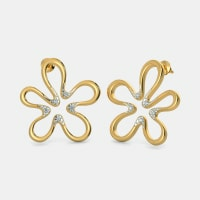 Gifted my mom a pair of earrings. Was totally worth the smile on her face. 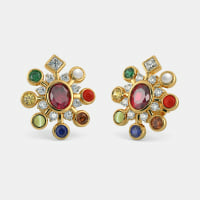 "Though I am not new to online shopping but thinking of buying jewellery and that too diamond jewellery online was no child's play. I searched many websites, some really good and ultimately zeroed in on Bluestone. After much R&D, I decided to make a purchase from it and I would say that it was indeed my best shopping experience. 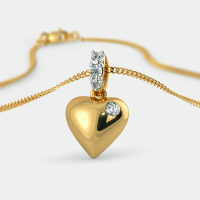 I purchased a diamond pendant last year in February which was delivered to me within three days (Jammu and Kashmir). I was really impressed with their before-time delivery and their caring customer reps who bother to understand the needs of customer and his/her apprehensions. The product as well as the customer service both were excellent." 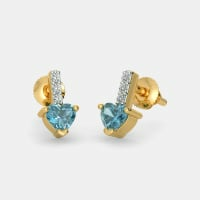 I am enjoying doing shopping with bluestone. Nice collection! 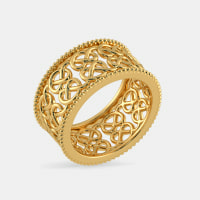 This ring is superb in design. I just admire the look. Really wow product! I liked the way it was delivered (i mean it was securely sent) and the whole packing was really good. Great support from blue stone team from beginning of purchase till end of delivery.Thumbs up to blue stone team,will be purchasing another product shortly! I am very happy with the product, service and delivery. I am also looking to buy more products in the future. 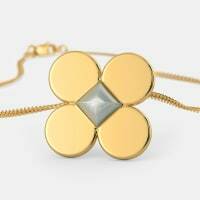 I had a great shopping experience with bluestone. Cheers! I was a first time customer, and the service was beyond my expectation! Hi, I am very happy with your fast and trusted service. I always recommend to my friends to purchase from blue stone! On request, the product was delivered before the said delivery date. Thanks for the hard work done from your end.Also liked the customer support which always informed me about my consignment.Thank you again. Really impressed with the packing, delivery and the customer service. Will come back for more. I am very happy with the product which i purchased. Looking for more! Keep up the good work. I am very happy with my first time experience. Loved the fact that everything I ordered turned out to be - What you see is what you get! Very good designs and good services. I am very happy with the way customers are handled by Bluestone. Cheers! I would really like to congratulate to bluestone team. 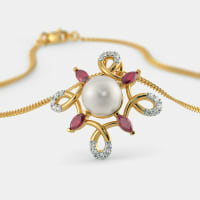 I have given my order to be delivered to Sultanpur which is a remote area in U.P. but the service is amazing. Moreover collection is also pretty good. I will really look ahead to do shopping from bluestone in future. 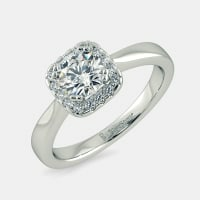 The diamond solitaire ring was stunning, classy, impressive! 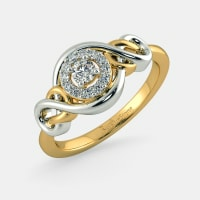 I tried with my local jeweler to get something similar but he just could not get anything near this quality or price!!! This is my first purchase on the net and will definitely buy many many more. Great job done by bluestone with quality, price and delivery. Bluestone has done an exemplary work. I liked each and every service. Product was awesome fabulous. Thanks to bluestone! I like this website alot and I am very happy with my order. Thanks a lot. 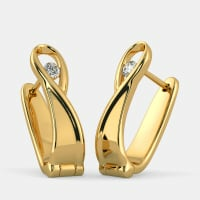 The product is very beautiful and I loved it.I will be following the designs you bring in in future too. Received your package safely. It is wonderful and same as shown in site. Extremely satisfied with product quality, definitely looking up for more orders to be placed in future. Great job keep it up. Thank you once again. Your product made a great gift for a special occasion. Thanks to the entire team for the great effort made from your side. Really delighted to get the product. I am looking for more now. Just loved the quality of the product and the way it was packaged for delivery to Australia, very secure. Thank you everyone. 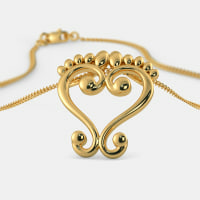 I had purchased the heart pendant for my daughter. She was very happy with it, and it arrived just in time on her birthday!!! As I was very much pleased with the pains taken by you to deliver the goods at Bangalore as I had no time to receive at my place and the support from your Customer Care who saw that the order was delivered on time so that I could gift it to my Son who flew to London on the same day. This service of yours actually made me to give one more order of the pendant which was delivered on dot as committed on the day of booking. Please keep it up. Excellent service. It was a perfect experience! I was doubutful to buy diamond online but this experience changed it all. Excellent website! Pleased with product I have received and looking forward to receiving the nosering and chain/pendant. 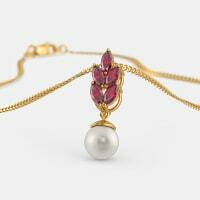 Bluestone is very good portal to purchase the jewellery in affordable rate. I really appreciate your services, product quality, packaging etc. 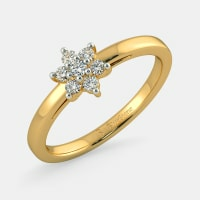 I always recommended every body to buy jewellery from bluestone. Keep it up guys! I loved the product. It was a gift for my mom and she loved it and appreciated the design as well. 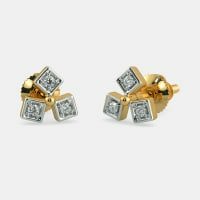 Very nice quality of the product and wide range of the Diamond quality to select. 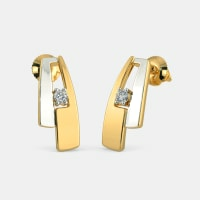 I wanted to gift my wife diamond earrings on our anniversary on 29th . The delivery date was shown as 1st so I called up the customer support and asked them whether they can deliver by 29th or latest by 30th. And to my surprise, the earrings were delivered on the day of anniversary. My wife not only liked the earrings but also was surprised that I could manage to get the earrings delivered on the day of our anniversary. Thanks to Bluestone for making our anniversary really special. Very courteous in attending the service calls; good product and reasonable price. Very co operative customer support service - 10 out of 10. Thanks a lot! 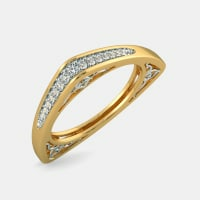 This was my first purchase from Bluestone and i am sure this will not definitely not be my last :) Bluestone rocks !!! You people are amazing. 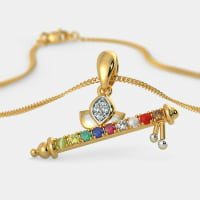 You are providing very good service and you have very good designs of jewelery I like it very very much. It was a good experience to deal with you. Awesome service n jet speed delivery!!!! I'll be ordering more n more n very soon!!! Thanks!!! I purchased two products in last two months and feel very satisfied for your prompt and excellent services as well as range of products. 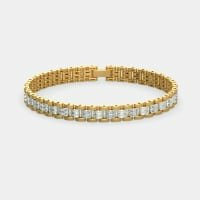 Very good prices as compared to other jewellers. Good work BlueStone. Keep it up! I am sure one day you will be greatest jewellery brand of India. Extremely awesome and surprised service! The product is same as pictures and delivery is very fast. Your customer care is really for customer service. Thank you for this awesome service and I will expect this type of service form you in future. On Time delivered!!! Thanks a lot guys!!! Excellent and continue your services to all. Thank you for the lovely rings and perfect fit. Also appreciate the support and follow ups from customer service folks. I would definitely recommend buying from bluestone. Have gifted a product to my fiancee and she was very happy, which means a lot for me and for this I would like to thanks to bluestone team for their prompt delivery because it was her birthday. Thank you so much for making my girlfriend smile! Good. Planning to order some more things also. Delivered on time. Very good! Keep up the good work. It was a great experience shopping with Bluestone. Good range, great quality and prompt delivery. All the best. Thank you for the timely delivery and great customer service. I gifted a pair of earings to my sister who hasn't spoken to me from almost 9 months. I miss her soo much. 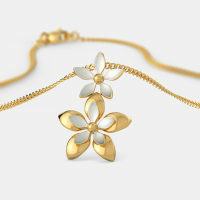 Bluestone made it easy to buy Gold jewellery online with the trust of quality. I hope she is happy with the design, eagerly waiting for her call. I ordered for a customized solitaire ring. All thanks to the Live Chat Experts and the Try At Home Specialists to guide me through this process. 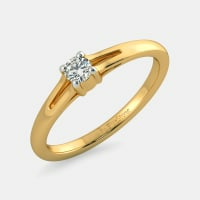 The incredibly beautiful solitaire mounted on the ring was strikingly attractive to the eye. Thank you to the entire team for having my product delivered on time. Thank you very much for the earnest service from your part. I am forwarding the details of my bank account. Looking forward to make future purchases from you.. I really appreciate the honesty and transparency level of Blue Stone. I had ordered a Krishna pendant last week. Received the product in 7 days. The product was exactly what I saw on the website, and my wife really liked it. There was a certificate and a welcome letter in the box along with the product.My wife is in love with the designs and keeps browsing the website. 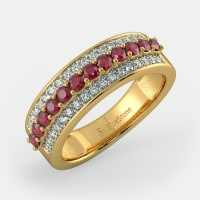 I would definitely recommend Bluestone.com if you are comfortable buying jewellery online. 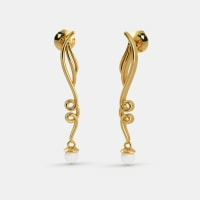 I am immensely happy to convey that the order I placed for Zymal Earring on 18th April, 2013 was delivered so quickly. It was as expected and showcased on the website. I would really like to appreciate the quality of service delivered by team BlueStone. I would like to share something with BlueStone. 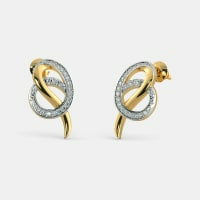 It was our anniversary on 20th April, 2013 for which I planned to gift the earrings to my wife. But, I was late in ordering the item. But, to my utter surprise it arrived on my date of anniversary which was much earlier than the estimated date of arrival. And, I would really like to thank Ms. Priyanka Shil from BlueStone for her management skills and focus on customer satisfaction. She really deserves an applause for making it delivered on the D-Day. Happy to see the promptness & authenticity of the product I received. Absolutely delighted with the customer service and follow ups.I'm finally at rest and delighted. Never experienced such a service! I would like to thank you and your team for prompt services and really appreciate the care, concern & SERVICE PART. This kind of service in India, have seen only by Bluestone. Keep it up. Will definitely recommend Blue Stone to my friends & relatives. I would like you guys to know that I really enjoyed the whole shopping experience with you guys I being a regular online shopper never got this kind of a response from any of the online portals .I was kept informed about the whole process and I never had to try hard to get in touch with u guys and even the refund was done on a timely manner and am really happy to shop with you guys and am sure that I will certainly do it again, it really was a wonderful experience. 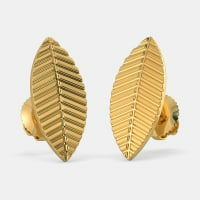 I ordered a pair of handcrafted earings in 18 carat gold online. Even before I could place the order there was facilty for online chatting with a consultant there and she helped me make the right decision. The payment details were spelt out with such clarity that there was no room for ambiguity. After delivery since there was a difference in weight, a reimbursement was arranged. Kudos to the team for its support, service and immense patience. 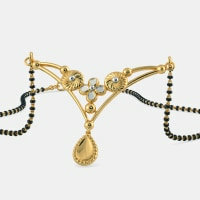 I strongly recommend this to anyone desiring designer jewellery. The refund amount has been credited into my account. Thank you very much for the same. I am extremely happy with your prompt service and much appreciate your professional and courteous approach to me as a customer. I'm very happy with services of BlueStone, you guys are very professional and ethical in online industry, I have received the product with in the time frame and the response from the customer services is great. This is request to you, please always carry these potentials. I'm highly impressed with the services provided by you. Nice to know that you are into that much intricacies to retain the loyalty of your customers, though I was also thinking the same thing and was about to mail you for the same. This step taken by you has overwhelmed us and has made us suggest your brand to others as well. I really appreciate the care , concern & SERVICE PART. This kind of service in India, have seen first time. Keep it up. Will definitely recommend BLUE STONE to my friends & relatives. Very Happy with the product and design. Said it was exactly what was on the website. COD option was also made available which makes me want to buy more products from BlueStone. I really liked the designs at BlueStone. Very comteporary and exqusiite. The product was delivered on time. Will come back very soon for other designs. Your effort of perseverance amazed me. Very Happy with the customer service.It was a pleasant experience shoppping with BlueStone! Really Happy with the product. Very satisfied with the over shopping experience. 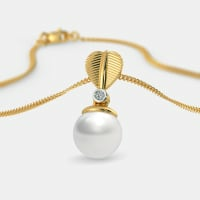 Never thought buying jewellery was so easy! Keep up the good work guys.